These little yummies can be used in salads, on pizza, in a sandwich or Panini or even munched on as a snack. Trust me, I have already eaten a fair amount this morning. Towards the end of the day or in the evening, pre-heat your oven to 500° get your few ingredients and prepare. 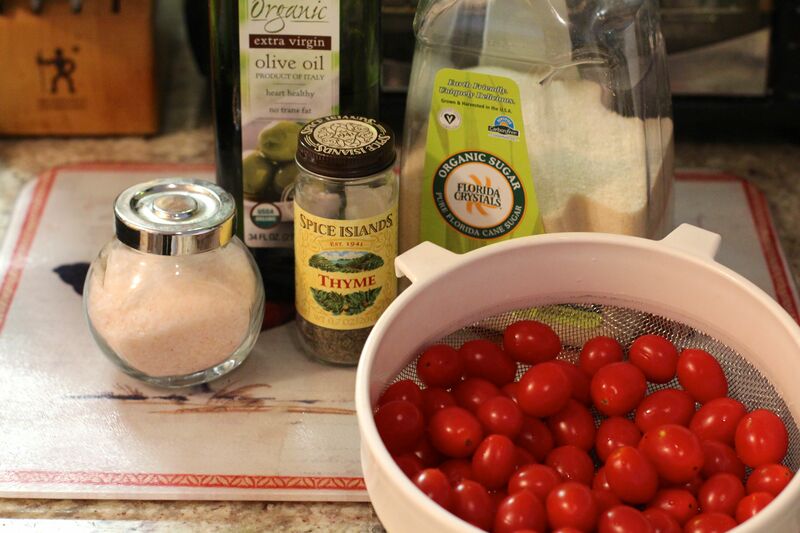 Slice the tomatoes long ways and…. 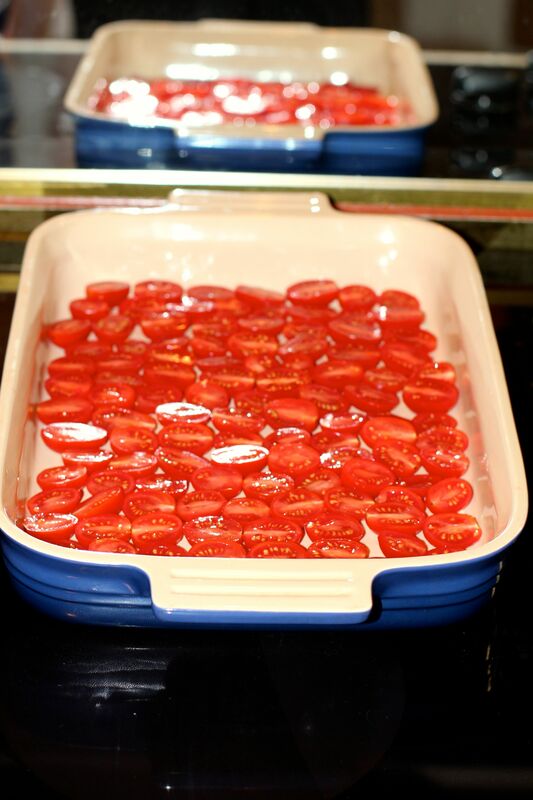 Lay them in a baking dish, sliced side up. I usually do 2 dishes at a time to make a nice sized batch. 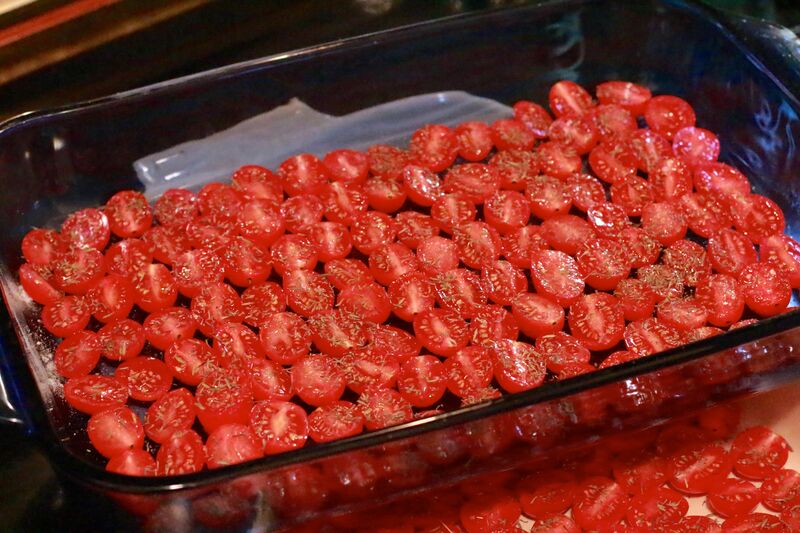 Sprinkle the sugar and salt and thyme over them all. Then drizzle oil all over them as well. You don’t need a heavy hand, just make sure oil is drizzled on all of them. 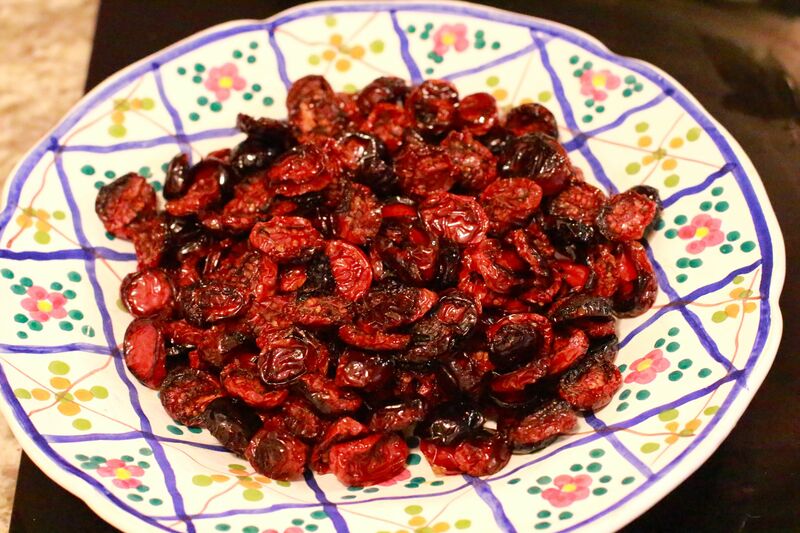 Basically your own little sun-dried tomatoes. Easy-peasy and so so tasty! Then as I mentioned, you can use them in most anything you like. Omelets, pizza, salads…etc etc. Enjoy!